The Detroit Police Department is asking for the public's help to locate 12 year old Joshua Morgan who went missing from the Christ Child House (15751 Joy Rd.) in the northeastern part of Detroit's Warrendale neighborhood. 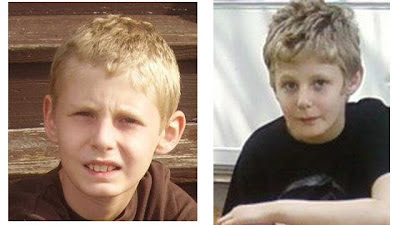 The boy is described as being 5’9”, 120 lbs, with blonde hair and blue eyes. He was last seen wearing a hooded sweatshirt, a white T-shirt, blue jean shorts, and black and red tennis shoes. The boy’s family is particularly concerned because he has not taken the medicine he needs. He reportedly is emotionally impaired with a bipolar disorder and is borderline autistic. Anyone who sees this boy, or who has information on where he might be, is urged to contact the Detroit police at (313) 596-5600. Update @ 4:09 p.m. - Fox 2 Detroit reports that Joshua Morgan was found safe this afternoon.